The Chamber of Digital Commerce and Georgetown University’s Center for Financial Markets and Policy will host the fourth annual DC Blockchain Summit on March 6-7, 2019. The Summit will bring together global blockchain advocates and thought leaders throughout government, financial services, and technology. Join us as we work together to advance the adoption of blockchain technology in Washington, DC and beyond. 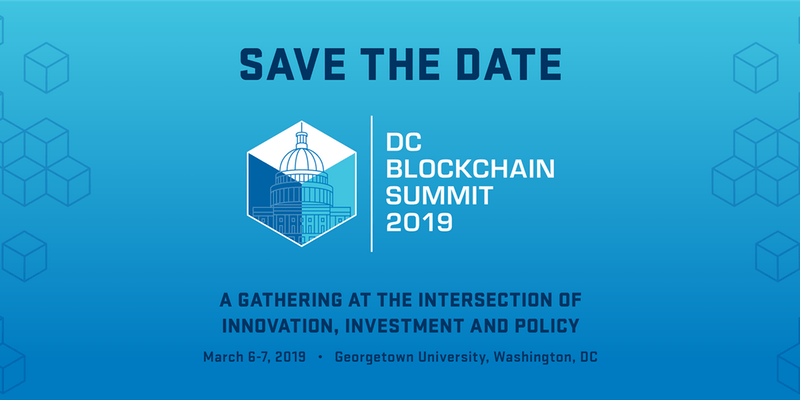 Visit the DC Blockchain Summit 2019 website for additional details. The Chamber of Digital Commerce is the world’s leading trade association representing the digital asset and blockchain industry. Our mission is to promote the acceptance and use of digital assets and blockchain-based technologies. Through education, advocacy and working closely with policymakers, regulatory agencies and industry, our goal is to develop an environment that fosters innovation, jobs and investment.